It gently cleanses and infuses the hair fibre with nutrients and moisture and your scalp is rebalanced for beautiful, supple and healthy hair. 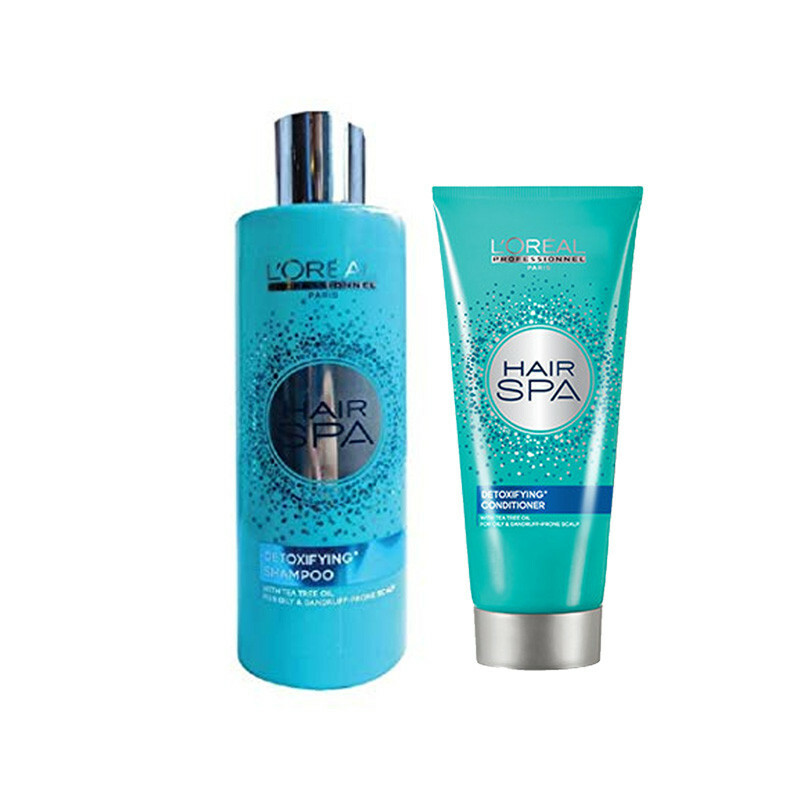 L'Oreal professionnel hair spa detoxifying shampoo enriched with Tea Tree oil, anti-dandruff agents and cooling menthol , this detoxifying shampoo cleanses and frees your scalp from impuritie - dandruff, sebum and sweat. It gently cleanses and infuses the hair fibre with nutrients and moisture. A deep clarifying cleanser designed to effectively remove product build-up and impurities whilst retaining the hair's natural moisture.This detoxifying Shampoo provides a further refreshing feeling and makes hair supple and healthy. Enriched with Tea Tree oil, anti-dandruff agents and cooling menthol, this detoxifying shampoo cleanses and frees your scalp from impurities - dandruff, sebum and sweat. Your scalp is rebalanced for beautiful, supple and healthy hair. Detoxifying conditioner provides a further refreshing feeling and protect your hair from the roots and gives you best result.